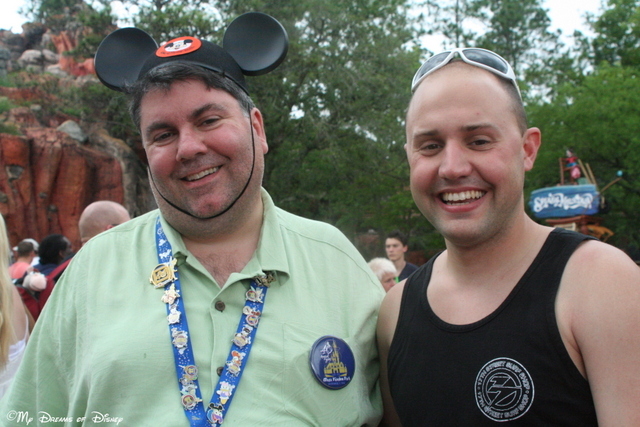 Shane and I having a laugh with my silly Mickey Ears on! Today is the birthday of Shane, the man that stole the heart of my niece Stephanie and holds it close to his! Shane turns 26 years old today, and his best birthday present is that he is going to be coming home next week from Basic Training and AIT! He has been gone for a long time to those of us that miss him, but in the case of his wife Stephanie, I think it feels like an eternity to her. With this post, I hope to describe in words and pictures what the inclusion of Shane into our family has meant to Cindy, Sophie and I, so please follow along as I honor him on his special day. 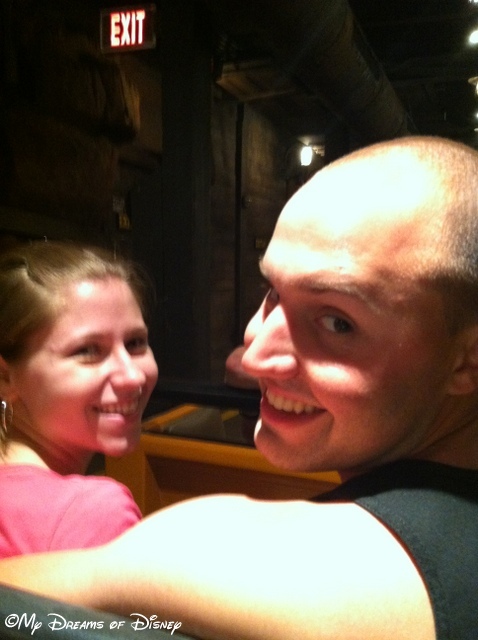 Shane and Steph on Big Thunder Mountain Railroad! 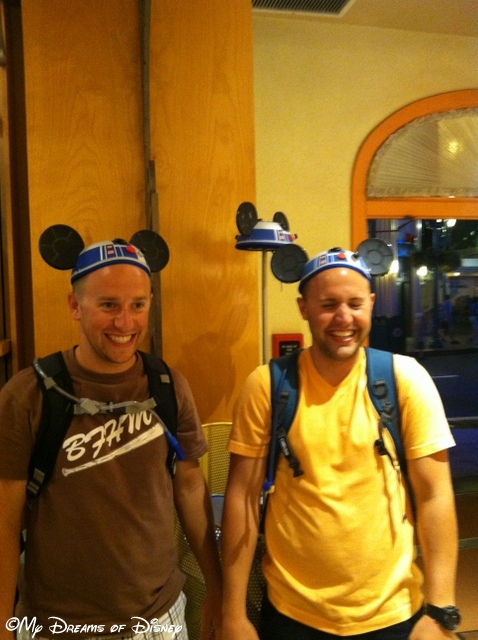 Shane (on right) and his brother Kyle enjoying a fun moment with the R2D2 hats! 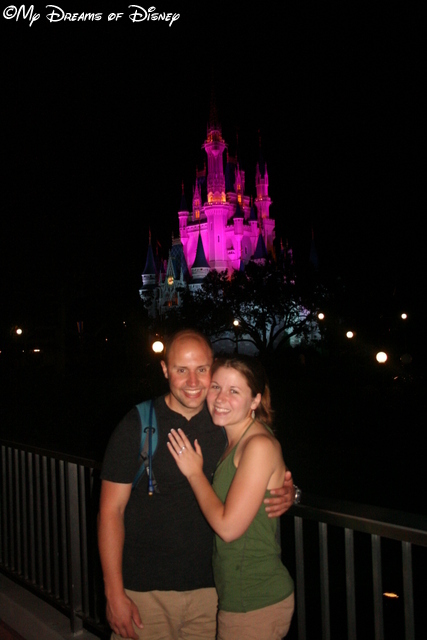 Before we went to Walt Disney World as a big group in 2012, though, I learned a very important secret — Shane told me that he was going to propose to Stephanie while we were there, and he asked if I would take some pictures along with his brother Kyle. Shane has written about this, which you can read about here in much better detail, but I thought I would remember that special time in photos once again. 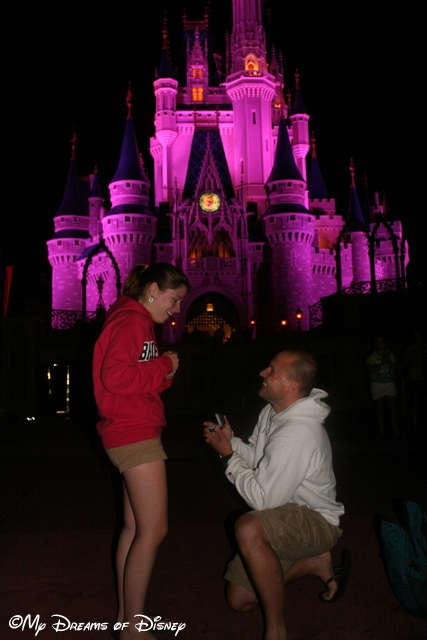 Shane Proposing to Stephanie in front of Cinderella Castle! Shane and Stephanie with Cinderella Castle in the background. 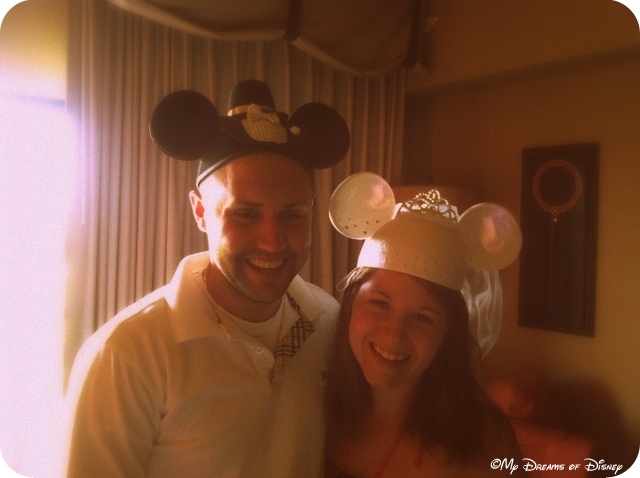 Shane and Stephanie trying on the Mickey and Minnie Bride Ear Hats that Sophie bought for them. 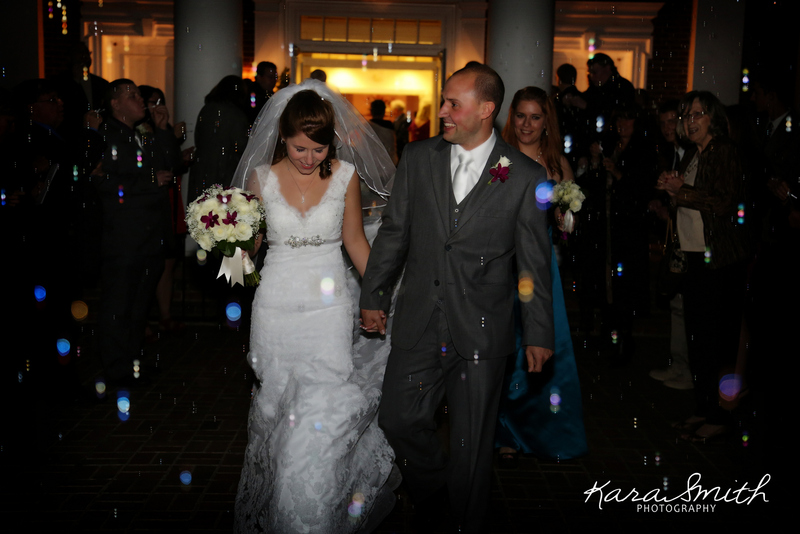 And lastly, one more picture to share with you…one that was taken by a real professional, Kara, who took the photos for Steph and Shane’s wedding. This is one of my favorite photos from that beautiful day, and I hope you all enjoy it as much as I do! 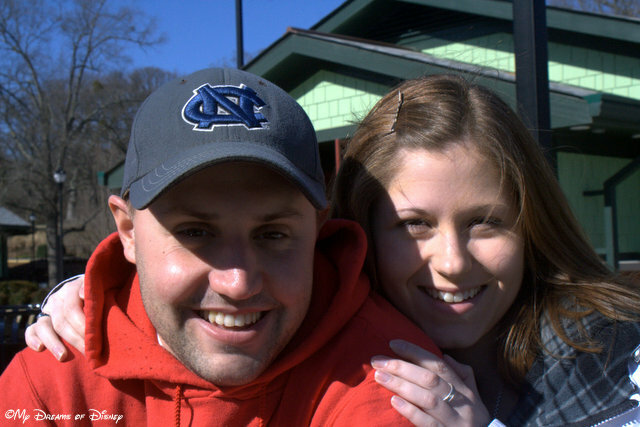 So, Shane, today we celebrate you, your life with Stephanie, and the fact that you two will be reunited in just a few short days. I hope you enjoy your birthday, and remember that we look forward to the day when we can greet you once again in person. Thank you for your service, and thank you too Stephanie, for choosing Military service is a hard path for everyone in a family that chooses to serve. We love you, happy birthday Shane! I’m crying like a baby, and so glad he will be home soon! :) I’m sending the Kleenex! This is soooooo cute! 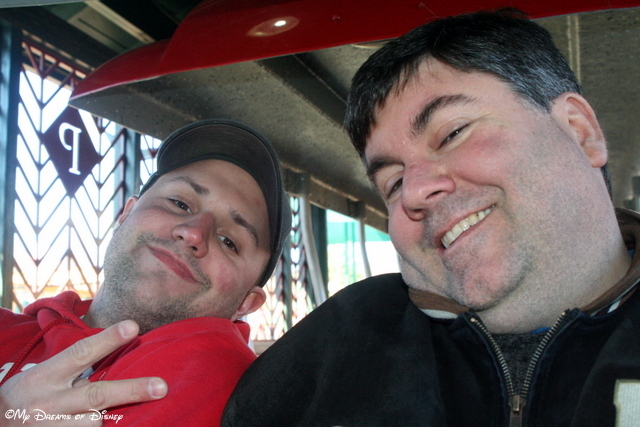 Disney means a lot to me and my husband too! We always say we met there and that’s where our love started!! Previous Post: Happy Birthday to my Mom!